Walt has more than 40 years of experience in the automation industry, including Executive Committee experience in three companies, board of director’s service in both for-profit and not-for-profit companies. Walt served as the Editor-in-Chief of CONTROL magazine for 10 years. Walt is principal in Spitzer and Boyes LLC, a technology consulting firm assisting companies to better market their products in manufacturing and automation. Walt is now the editor and publisher of Spitzer and Boyes’ magazine, The Industrial Automation and Process Control INSIDER. George learned his love for systems as a digital satellite communications technician in the Submarine Service USN. 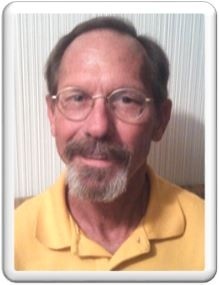 He has over 30 years of experience in the process industries as a Control Systems Technician. George is an advocate of technical certification contributing to the development of certification programs for ISA, the Electronic Technician’s Association – International, and CompTIA. He currently serves as Chairman of the ISA Certified Control Systems Technician Steering Committee, Vice-President of the ISA South Texas Section and Faculty Advisor for the ISA Corpus Christi Student Section. 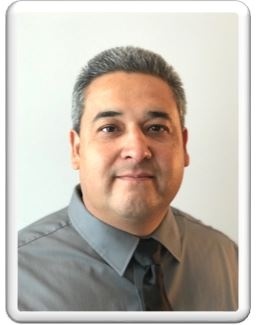 George is the Program Coordinator for Industrial Instrumentation at Del Mar College in Corpus Christi, Texas. Ned Espy, Technical Director, has been promoting calibration management with Beamex for over 20 years. Ned has helped develop best practices for calibration, with a focus on pressure, temperature and multivariable instruments. He is a consistent editorial contributor to leading industry publications, and has received significant recognition within the automation industry. Today, Ned teaches calibration best practices and provides technical support to end users and the Beamex sales team in North America. Michael Uhrin is the Director of Engineering Services at Par Pharmaceuticals in Chestnut Ridge, NY. He worked at Boehringer Ingelheim Pharmaceuticals in Danbury, CT in multiple engineering related capacities for the previous 14 years and prior to that served as a Field Engineer and Validation Engineer for Glatt Air Techniques in Ramsey, New Jersey. He holds a Master’s degree in Technology Management from Fairfield University in Fairfield, Connecticut and a Bachelor of Science in Mechanical Engineering from Pennsylvania State University in University Park, Pennsylvania. Michael has been involved with implementing calibration process changes and global calibration system rollouts. Today, his responsibilities include calibration, preventive maintenance, validation, process automation and engineering related projects. Dan Martin is the Electrical and Automation Engineer for Nestle Dreyer’s Ice Cream Company in Tulare, California. His extensive knowledge in automation and industrial control applications comes from his career experience with electronics, industrial communications, high voltage electrical systems, SCADA systems, historical data collection and analysis, and vision applications. He has in-depth knowledge of various HMI and PLC systems used in various food & beverage, petrochemical, water, waste water, and industrial facilities. Dan holds a Bachelor of Science in Electrical & Electronic Engineering from DeVry University and many industry certifications in application design and support. He currently manages the calibration program for his factory and is involved in the expansion and standardization of calibration systems in the Nestle Ice Cream division. Roy Tomalino has been teaching calibration management for 17 years. Throughout his career, he has taught on 4 different continents to people from over 40 countries. His previous roles include Technical Marketing Engineer and worldwide trainer for Hewlett Packard and Application Engineer with Honeywell. Today, Roy is responsible for Beamex training activities in North America.